Founded in 2008 by three engineers, Nanoe focuses on the elaboration of high purity nanopowders. Our products are specifically designed for the sintering of high performance ceramics. Nanoe has partnered with a laboratory specialized in nanomaterials (CNRS) and the French leading ceramics laboratory (Limoges). Nanoe is headquartered at Ballainvilliers, near Ecole Centrale Paris (French engineer school) campus in Paris region. Siam Cement Group (SCG) was established in 1913 following a royal decree of His Majesty King Rama VI to produce cement, the main building material for infrastructure projects that greatly contributed to the progress of the country during that period. Elementum 3D (formerly Sinter Print) is an additive manufacturing research and development company that specializes in the creation of advanced metals, composites, and ceramics. Our innovative materials help meet the 3D printing industries ever-growing demand for greater selection and expand on the capabilities of additive manufacturing. 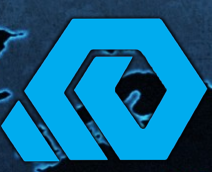 Our goal is to lead the industry in high performance materials technology. Located in the small town of Mezdra Bulgaria, Techceramic - M is a developer, manufacturer and worldwide supplier of ceramic components with a wide and ever growing range of applications. Our production lines are managed and supervised by high-level technicians and machinists with the entire plant having a ratio of 3 to 1 in terms of qualified ceramics and mechanical engineers. Its departments span from production, maintenance, financials and quality control and every year, the company offers specialized and ongoing training to its staff. 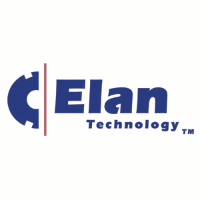 For over 65 years Elan Technology has been a leader in the glass, ceramic and toll spray drying industries. Elan Technology is the largest independent U.S. company in its field producing glass preforms for hermetic seals and spacers using technical glass, ceramics, and glass-ceramic composites. Our technical glass and ceramic parts can be found in the defense industry, machinery, space exploration equipment, cell phones, refrigerators, automobiles, flashlights and numerous other applications.